Have you ever eaten at a hotel or ultra fancy restaurant where the butter was shaped like seashells, flowers or leaves? Ever wondered how to do it? Well, while I frequently extoll the virtues of cooking with butter (and particularly, making your own), making your own super sophisticated butter pads is unbelievably easy. 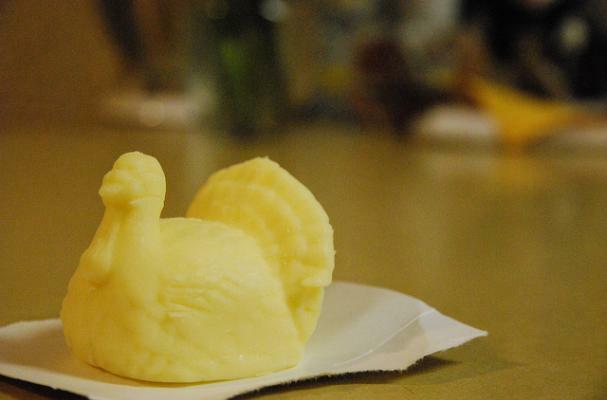 Using storebought, homemade or compound butter, molded butter is a quick and easy way to make your Thanksgiving table more elegant than ever. This is also a really great project for little helpers! It's easy - just let your butter come to room temperature and be very, very soft. Smush your butter into the molds using a spatula, making sure to squish out any air pockets or bubbles. Next, freeze the mold for 30 minutes or so until the butter is really firm. Once frozen, invert your butter mold over a plate and run super hot water across the bottom. Flip the plate and mold over and voila! You should have gorgeous little pads of butter! 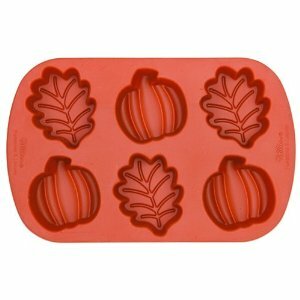 Check out this super cute silicone pumpkin and maple leaf mini-mold set - perfect for the holidays! Click here to see more cute and fancy butter molds!